Shake well before using. 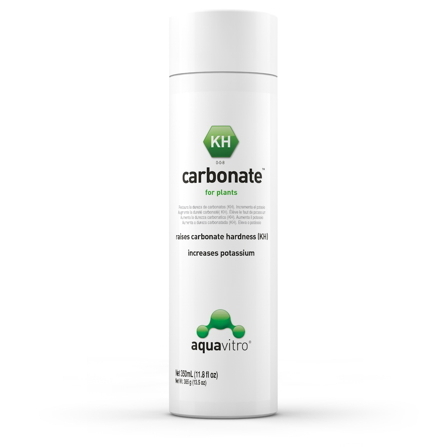 Use 5 mL for every 110 L (30 US gallons) of water three times per week, or as required to maintain plant growth. Does envy™ have an expiration date or need to be refrigerated? A: envy™ does not need to be refrigerated and does not have an expiration date - you can store this product on the shelf and as long as it remains closed between uses, it should not expire. fuel™ and envy™ appear to be very similar. Are they interchangeable? 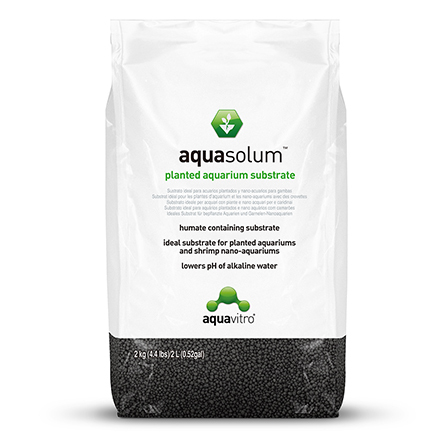 A: fuel™ is not recommended for use in a planted aquarium. When we originally started working on the product envy™, we did try using fuel™ in a planted tank. 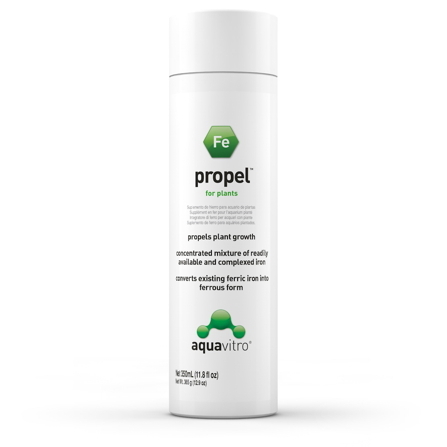 We quickly found that some of the trace components that are in fuel™ did not get utilized quickly enough by the plants and built up over time, causing the plants to decline. 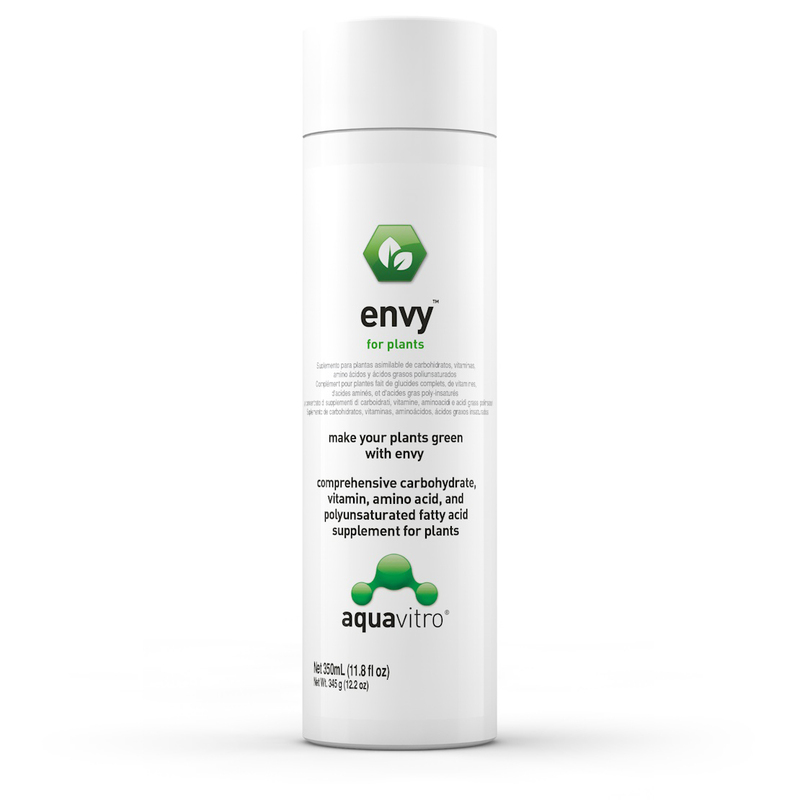 envy™ is better suited for use in a planted aquarium, while fuel™ is better suited for a reef tank. On the label for envy™, I see that Chlorella is a main ingredient and that Chlorella contains copper. Isn’t copper dangerous? Will it kill my shrimp? A: It is true that in large amounts, copper can be toxic to aquatic animals and invertebrates like shrimp, and snails can be particularly sensitive. However, copper is needed in trace amounts by both plants and animals, including shrimp, which is why we include it in envy™ and fuel™. The amount of copper in envy™ is so small that you would have massively overdose before you would begin to approach an amount of copper that is toxic to even the most sensitive animals. There is usually much more copper in tap water than there is in envy™. 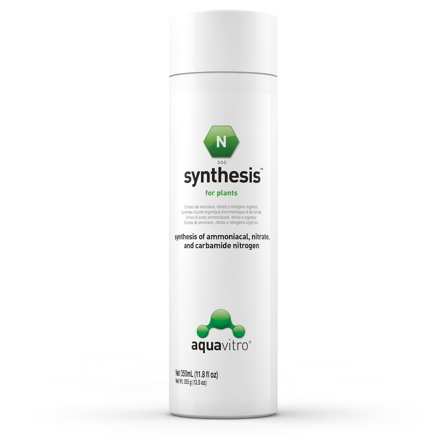 For example, we tested 7mL of envy™ in a 200mL sample of RO water. Our results showed copper was undetectable when added at this amount, which is 750x the amount of envy™ you dose on a regular basis.